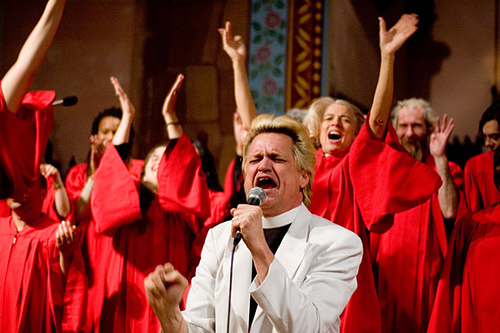 Through retail interventions, corporate exorcisms, and some good old-fashioned preaching, Reverend Billy reminds us that we have lost the true meaning of Christmas. What Would Jesus Buy? is a journey into the heart of America from exorcising the demons at the Wal-Mart headquarters to taking over the center stage at the Mall of America and then ultimately heading to the Promised Land … Disneyland.